We're so blessed to have a number of couple friends whom we regularly go out on double/triple/quadruple/quintuple (!!!) dates with. Paul and I truly enjoy chatting with them and sharing stories knowing that we can all relate with one another. Such is the case with one of our favorite couples S and J who just got married not so long ago and are now busy opening their very own hardware shop (for readers living in Quezon City please drop by their shop called N.S. Amoranto along..you guess it right! N.S. Amoranto street!). I always look forward to dinner dates with S and J simply because they are really fun to be with! We can all just chat and chat all night and end the evening feeling happier and stress-free. One evening, we got a message from J inviting us out to dinner. Since we were just around the vicinity, we agreed to meet up near their hardware shop as Paul and I are looking for something new. J suggested Asian Twist. Following S' instructions, we were able to find the restaurant in no time. While waiting for S and J, I surveyed our neighboring tables and noticed that a lot of people were ordering Bibimbap-like meals. 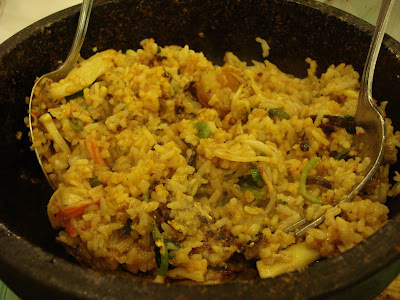 I browsed through their menu and saw that they have added a twist to this Korean favorite. Not only would you Bibimbap have the usual ground meat and veggies, you may opt to get the Bagnet version or one that has an assortment of seafood. Finally, S and J have arrived and before catching up with one another with a lot of stories lined up, we let J go through the menu and order our dinner. 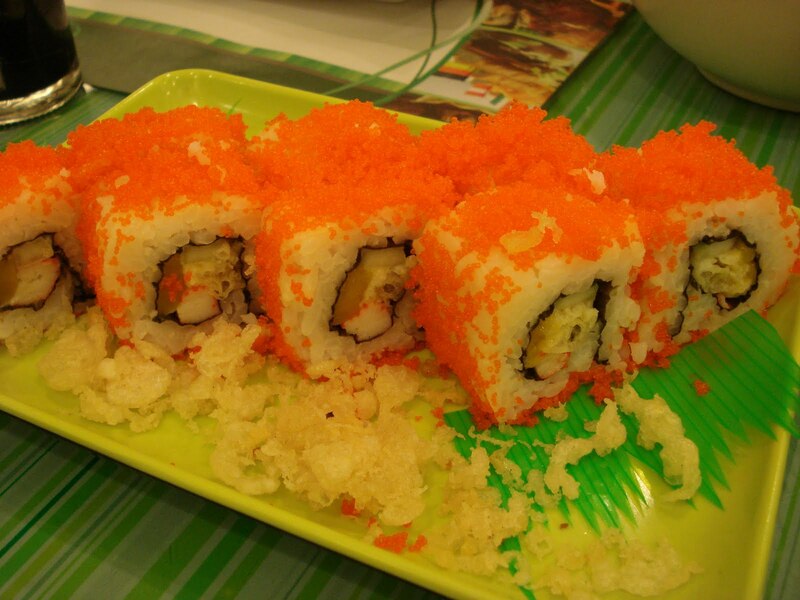 First on the list was California Maki, I have been eyeing this since I first saw this on the menu and I guess I have showed my enthusiasm by nodding repeatedly. It might be a bit far from authenticity but it was a pretty good one. For one thing, I love it that they were very generous with the ebiko, one thing a lot of restaurants would scrimp on. They were extra creative too by adding tempura flakes to get that Japanese feel. Next was the Stir-Fried Beef and Vegetable Teppanyaki. 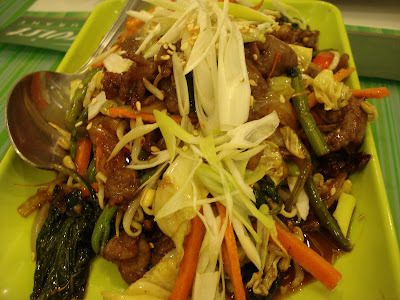 I got to say, J made a great choice as this dish was fragrant to begin with and flavorful with all the crunchy veggies and tender beef sauteed in their delicious teppanyaki sauce. So yummy! I told J that a lot of people ordered the Bibimbap and she was just as curious as I was that we agreed to get a bowl of Seafood Bibimbap to share. Even the guys enjoyed this rice dish as they were once again generous with the mix of squid, kani and shrimp. Who would have thought that Bibimbap can be done in so many ways! I love the burnt rice layer too! I'm definitely going back for more! 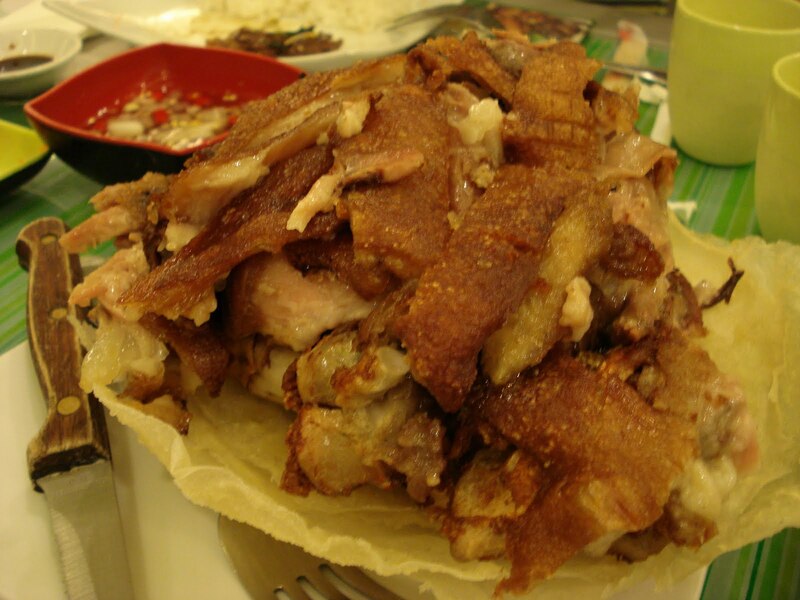 Last was the Crispy Pork Knuckles (Crispy Pata). This was perfect had we ordered a couple of ice cold beer but since we all had work the next day, we stuck to a pot of hot herbal tea instead. We felt that there should have been more meat as the fat portion was pretty bit and the rest was the huge knuckle bone. I'm so happy that S and J led us to this new discovery. We should definitely explore this part of town more often as there seems to be a lot of hidden gastronomic gems in every corner. 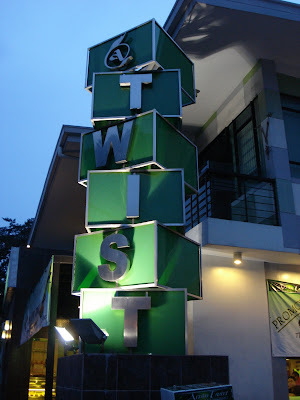 Asian Twist is located at 101 N.S. Amoranto (formerly known as Retiro street), Quezon City. Call them at 711-2248 / 749-3878.